A map highlighting central London's top ten most popular visitor attractions (2013), based upon data sourced from the Association of Leading Visitor Attractions (ALVA) and other information. Merritt Cartographic provides a creative map making service, producing bespoke cartographic products and custom interactive maps and illustrations. Custom maps are created for inclusion in books and magazines, for use on public display panels and signposts and for interactive applications and websites. Merritt Cartographic creates digital, graphically rich products to illustrate a wide range of geographical regions and subject matters. All maps produced employ creative solutions to meet the requirements of your individual design brief. An illustrative plan of a garden open to the public, RHS Garden Hyde Hall. 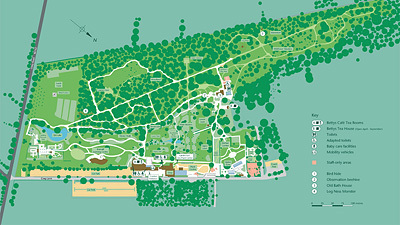 Initially produced for inclusion in a guidebook, this plan highlights the main areas of the garden as well as showing the location of the main facilities accessible to the public. This map has subsequently been used for signage on site as well as in other written publications relating to the garden. 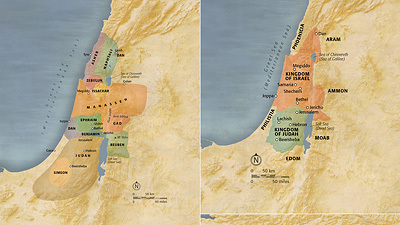 Four maps in a much larger series produced for a comprehensive reference book, published by Dorling Kindersley, exploring the Bible, its stories and influence upon the world. The brief for these maps included a need to emphasise the amount of time which has passed between the present day and the stories being mapped. As such, a slightly weathered appearance has been employed with the effects of digital art brushes prominent in the design. Further information regarding 'The Illustrated Bible' can be found here. One map from a large series produced by for inclusion in a guidebook, published by CycleCity Guides, focusing on a series of cycling tours across the Netherlands. 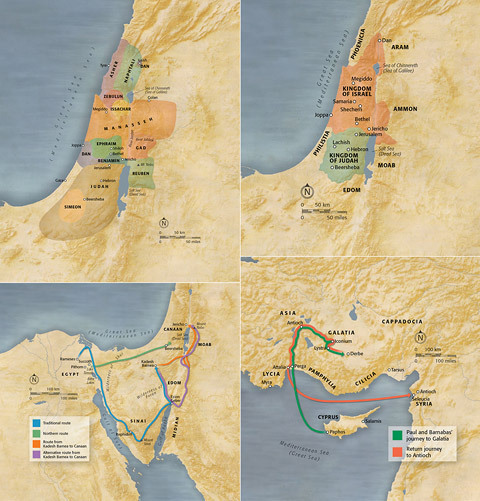 This map shows an overview of the routes described in more detail throughout the remainder of the book. A subtle colour scheme has been used for the background elements of this map, allowing the cycling routes to be more easily identified. This map, as like all the others produced for this project, incorporates data derived from the OpenStreetMap project. Hello, my name is Ed Merritt. 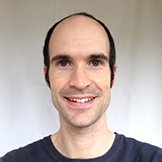 I am a cartographer based in Southampton (UK). I established Merritt Cartographic in 2006. An administrative map of the world with a traditional appearance. This map makes use of the Eckert IV projection. This map was produced for inclusion in a reference book. An administrative map of the world with an added dimension. 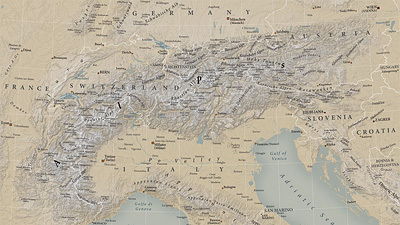 Rather than merely employing flat colour tints, this map utilises a digital relief shading technique, in conjunction with satellite imagery. Two maps produced for Best Western® Hotels & Resorts for use in a recent promotional brochure. 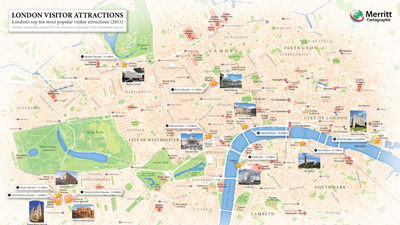 These maps highlight the locations of all of the Best Western® hotels in Great Britain. 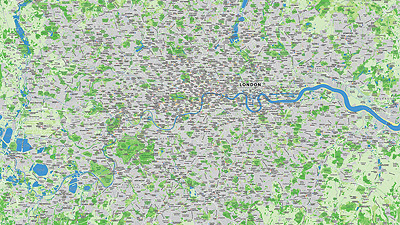 A large format map of Greater London, produced for wall display. This is Merritt Cartographic's map of Greater London customised to highlight a selection of specific locations. 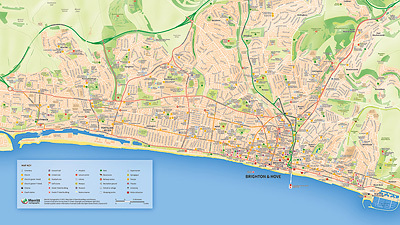 A large format map of Brighton & Hove, produced for wall display. This is Merritt Cartographic's map of Brighton featuring points of interest and customised detail. 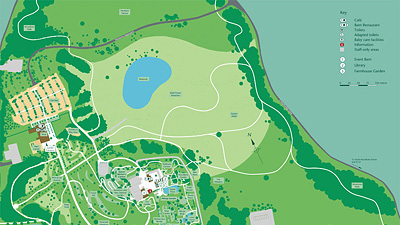 A map of RHS Garden Hyde Hall, produced for a guidebook, which highlights the main areas of the garden as well as showing the location of the facilities accessible to the public. 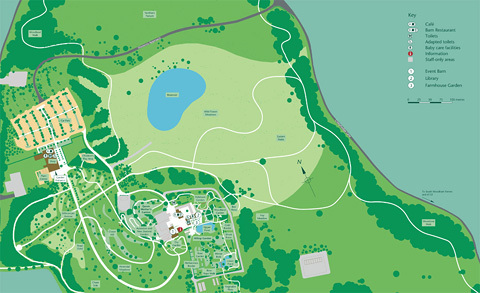 A map of RHS Garden Harlow Carr, produced for a guidebook, which highlights the main areas of the garden as well as showing the location of the facilities accessible to the public. An illustrative map of the South American continent, commissioned for a reference book. In addition to showing the topography of the land and sea, this map also features the political aspects of South America. 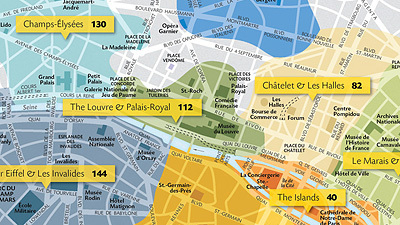 An overview map of central Paris, produced for a walking guidebook. This map highlights the various neighbourhoods of the city centre and indicates whereabouts in the book to find further information. 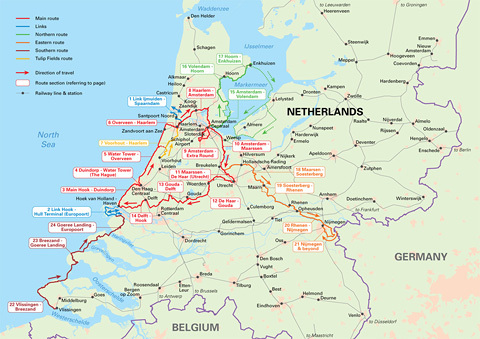 One map from a large series produced by for inclusion in a guidebook, published by CycleCity Guides, focusing on a series of cycling tours across the Netherlands. A map produced for a book about mountaineering. The most important consideration when designing this map was to ensure that the regions mountainous landscape was clearly evident.